After a year of waiting, today was finally the day that David and I went to see The Lion King at the Liverpool Empire Theatre! I must say that I was not as excited as I was when I went to see the new Everyman Theatre, but we went none the less. We went to the matinee and it was an almost full house! We had nice seats (though the seats in the Empire are rickety!) The only downside was not the children, they all seemed to be well behaved, it was the two adults in front of us that kept moving forwards blocking our view! Luckily I had the isle seat so managed to look around ‘big’ heads but it was annoying! ‘Stay in your seat!’ I wanted to say! Before the show there seemed to be a mass ‘stampede’ of parents trying to obtain ‘booster’ seats for their children. I looked at David and said ‘I need one too!’ (What with being small and all!) He just laughed at that! The merchandise I found was pretty expensive and the ushers were on guard throughout the show on the lookout for ‘pirates!’ Luckily I was not one of them that day! The show lasted just under three hours, including interval. It was nice to hear Hans Zimmer’s music from the original film in the show. Indeed Zimmer won his only Oscar for The Lion King and it was the first soundtrack I purchased of Zimmer’s works! Today, I have numerous tracks of his, he being one of my favourite composers! I was very impressed by the stage design and the costumes were wonderful! 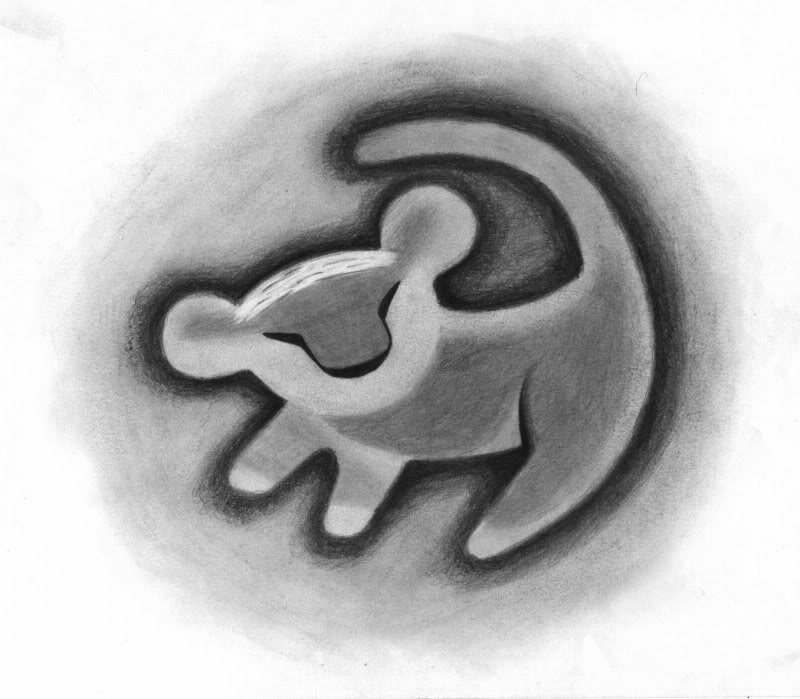 The first track The Circle of Life, was undoubtedly the highlight for me! I loved the representation of the Elephant and the Gazelle, and the Giraffe were by far my favourite! There were some moments I enjoyed more than others. I liked the scenes reminiscing of the Disney film of 1994. I wondered how they would recreate the ‘stampede’ and the stage direction and design was top notch! The ‘rotary’ with Wildebeest was genius! The use of puppets was creative. I think Liverpool will be awash with puppets this year! There were some moments when I did not quite connect with the events on stage. I could not hear some of the actors speaking, (I missed a few jokes because of that!) and the singing was either too loud or the words of the songs were not conveyed clearly enough. There was far too much shouting over one another I thought! I did enjoy the production of He Lives in You! 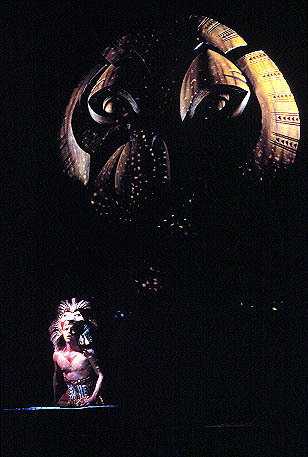 The stage was awash with stars and then the face of Mufasa emerged out of the myriad, is was quite something to behold! I did have a lump in my throat at the end of the musical when they reprised The Circle of Life with Simba’s child being displayed to all and sundry! That indeed made me think of my mortality and how life is just a perpetual cycle. We come and go, and life continues endlessly. 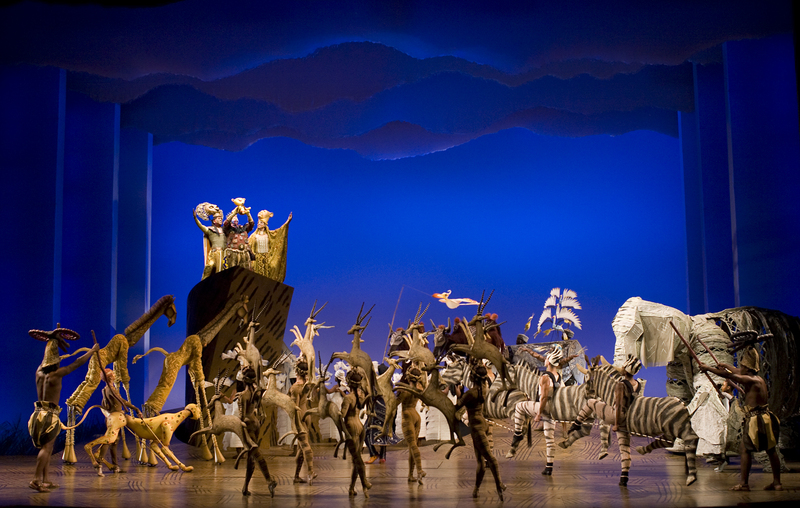 I did enjoy my time at The Lion King, the musical. It was very much a carnival of animals! However I feel there are far better musical productions in theatres at present. I’m just hoping Les Mis does the rounds again soon!